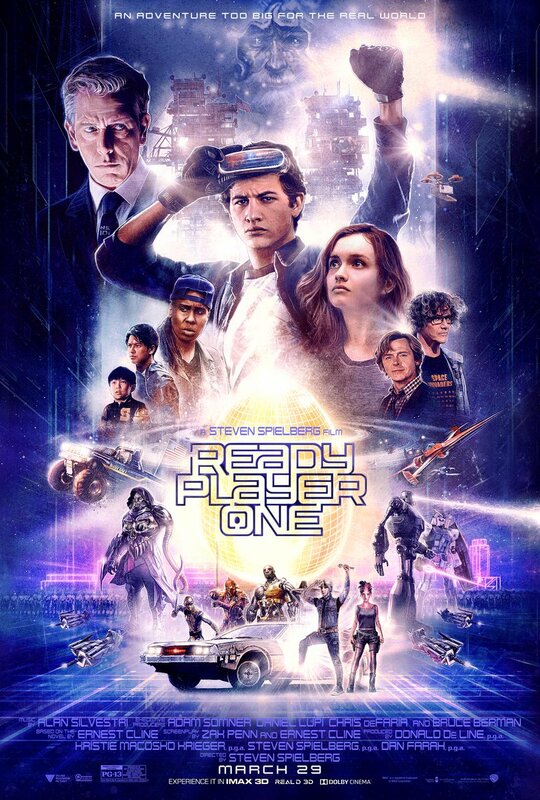 A new Poster, and a new Japanese trailer (with some new footage / no English subtitles), and I am excited again for Steven Spielberg's "READY PLAYER ONE"! And yes, a good poster DOES make a difference, especially in this day and age (I think), as more trailers reveal more than they should, and with constant teasers and visuals blending in with every other moving visuals for a myriad of "other" films to perhaps confuse your senses, a "still" image becomes as important to anchor your memories and attention, IMHO. A "bad poster" might frankly out you off the film, and/or deter your attention (*Truthfully it did me), while a good poster - such as this splendid piece (*official illustrated one sheet) by U.K. artist Paul Shipper, paying homage to the evergreen illustrative style of "classic Drew Struzan" really does lend credence to the retro-goodness aspect of the film's allure, IMHO. *CLICK HERE to view all "Ready Player One" coverage on #popcornX. 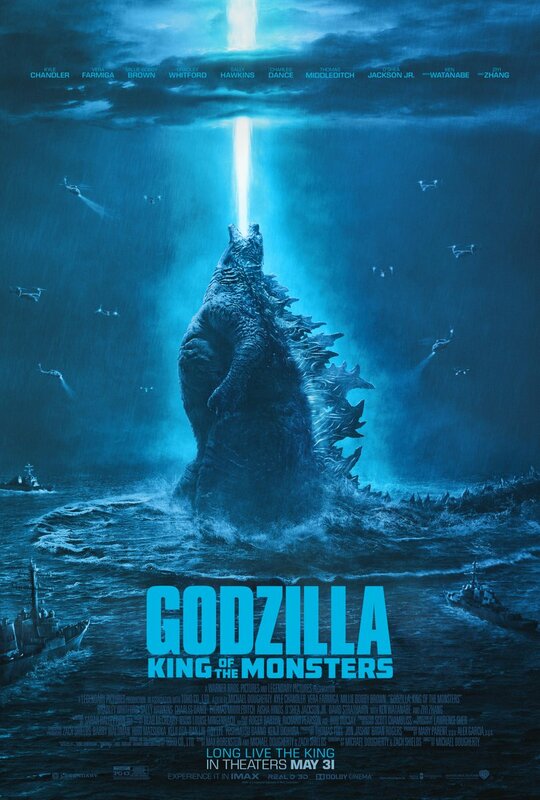 “Godzilla: King of the Monsters” hits U.S. theaters beginning May 31, 2019 ... on Singapore screens May 30th, 2019. Marvel Studios’ Avengers: Endgame Might Be reaching the End (of "Phase 3"), but let the Commercials begin! We have above a decently funny-ish TVC for Audi (above) starring Brie Larson's Captain Marvel and Goose the Cat - being integrated into modern times ... followed with Google's Pixel 3, and scroll to the bottom of this post for a Hertz ad, from earlier this month. HOW MANY/HOW MUCH: Unknown / US$29.99 per. 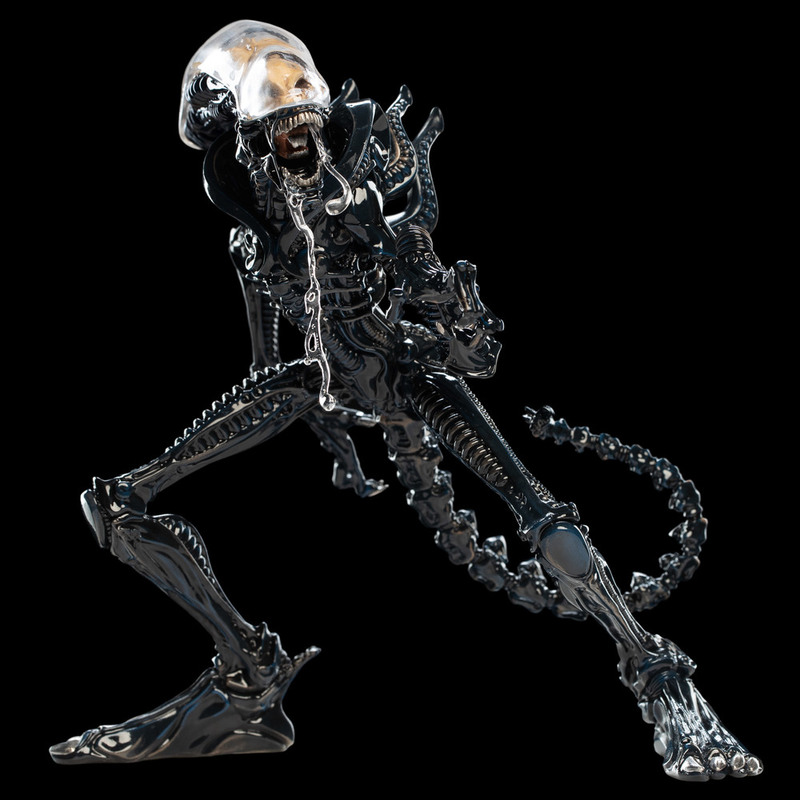 REMARKS: To celebrate the 40th anniversary of Alien, Weta Workshop unleashes the Xenomorph into their Mini Epics mix, with this stylised figure standing 6 inches tall "and should be displayed safely away from small, furry things." Pre-order now for estimated availability July/August from our EU, US and NZ warehouses. "When I’m sculpting a collectible, I try to think - would I be proud to have this on my shelf? We always aim to make something really exciting that we would love to own ourselves." ~ shared Mauro Santini - Designer & Sculptor, Weta Workshop. As part of Sesame Street’s 50th anniversary celebration, we have a campaign, “Respect Brings Us Together,” highlighting the importance of respecting one another, even in disagreement — and even in the case of sworn enemies." If this video turns out to be somewhat of a "spoiler" for the actual GOT, it'll be actually pretty funny ... hhhmmm. Go inside Season 8 Episode 2 with the Executive Producers of Game of Thrones, and check out the preview for Episode 3 airing next week ... guess who's hereeeee? Since the release of the poster (above, and trailer) for "Avengers: Endgame", there has been a few meme parodies out there, and I'd thought to take a look at a few notable ones that has since graced the interwebs! When actor Danai Gurira (who played "Okoye" in Black Panther and Infinity War) was left out of the first poster release, fans made the above parody poster to rectify that (Source: reddit), and an outrage online (*Which I missed entirely :p), and eventually led to Marvel subsequently adding in her character and title credit for, and re-releasing THIS poster (along with the trailer). Captain Marvel's "GOOSE the Cat" (which the internet has since spoilt my viewing experience as indentifying it as "Flerken", the _______) stars in ALL the roles of Avengers! (Pic by @mistermorris55). Launched Easter Friday and currently available to purchase online here is THE REBEL SAINT, priced at US$90 for this pre-painted sized 6.75" tall resin collectible. The statue, christened as The Rebel Saint, is based on a sculpture (8ft, resin-polymarble) featured pretty prominently in the movie "Faeryville" (2015) as well as the indie film "e’Tzaintes" (2003). The iconic symbol and protector of rebels and thinkers. Gun in one hand and an open book in the other. Created by Singapore Independent Filmmaker Tzang Merwyn Tong and current piece produced by FLABSLAB, "The Rebel Saint" [Liberty] is produced in collaboration with Rebels and Thinkers Inc. Scroll thru to get to know the film and original sculpture MORE! 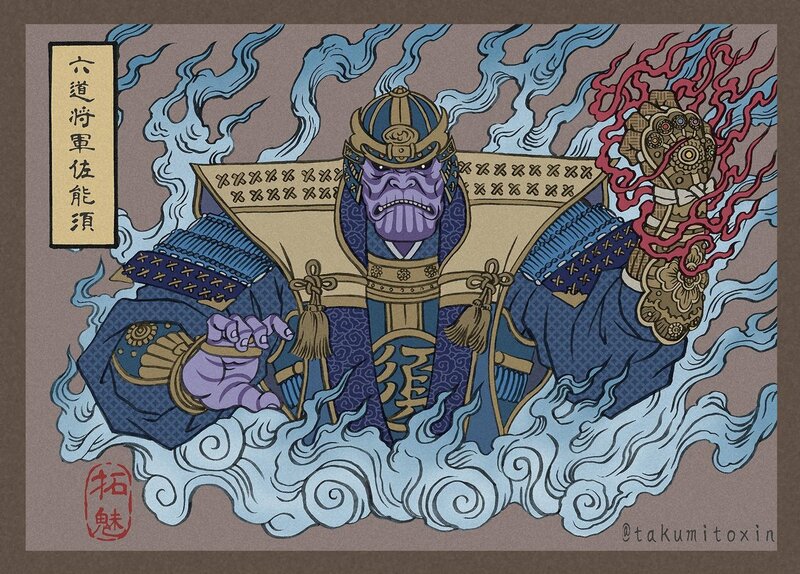 Artist Takumi interprets the characters from Marvel Studio's AVENGERS: ENDGAME as individual "Ukiyo-e" "fanart FTW! Do you recognise WHO these characters depicted are? No spoilers here, cheers! "Time to pla-aaaay...." The (second) full trailer for Child’s Play is finally here. From the producers of IT comes a modern reimagining of the horror classic! Scroll down for the first teaser, and a viral post featured here today, and stay psyched for "#ChildsPlayMovie" in U.S. theaters June 21th. WHAT-IS: "Child's Play is an upcoming American slasher film written by Tyler Burton Smith and directed by Lars Klevberg. It serves as a remake and reboot of the 1988 film of the same name, following a plot similar to the original film. It stars Aubrey Plaza, Gabriel Bateman, Brian Tyree Henry, Tim Matheson, and Mark Hamill as the voice of Chucky. After a series of trailers & spots, we have a new Behind the Scenes Featurette, featuring interviews with Ryan Reynolds (who voices Pikachu), and actors Justice Smith (as "Tim Goodman") and Kathryn Newton (who plays "Lucy Stevens", a reporter who is accompanied by a Psyduck). POKÉMON #DetectivePikachu hits U.S. cinemas May 10th.